§ Pee Wee’s, Ages 4-6: Classes focus on hand-eye coordination and racquet skills using wider racquets and oversized balls to develop proper techniques. § QuickStart, Ages 7-11: Players may be learning the game for the first time or building on their fundamental work. § Futures, 12 & Up: This class is for the beginner or advanced beginner, focusing on stroke development, backhand, volley and serve. § Princess Junior Academy, Ages 12 & Up: Junior Varsity is for beginner to intermediate players looking to play on a high school team or in tournaments; the Varsity program is for intermediate players with some tennis experience and previous coaching. Cardio, Drills & Skills & Tequila Tennis! Adults can have a ball at clinics of their own, such as Tequila & Tennis, a round-robin tennis tourney for all skill levels, followed by margaritas, chips and salsa from La Hacienda. Other fun features include Cardio Tennis: a heart-pumping, great exercise class that burns calories and gets players in shape. Classes are underway now and are offered three mornings every week. Other adult activities include “Drills & Skills” and “Dominating Doubles” clinics for the intermediate to advanced players and “Play Days” where players are matched for round-robin doubles. Local residents and hotels guests are invited to participate in any of the Tennis Center clinics or events. For groups and conventions, a good time is on the agenda with new activities such as a Tennis Carnival, where each court has different tennis games and prizes, or the “Wimp-ledon” Tourney, with goofy, hilarious twists for teambuilding. New tennis memberships include year-round access to the John Austin Tennis Center, two-day advance court reservations, special member lessons and clinic rates, priority registration for special tennis events and promotions, a 15 percent discount on Tennis Pro Shop and Willow Stream Spa/Salon boutique items and complimentary, dedicated member parking. The price for tennis memberships are a one-time registration fee of $300, with monthly dues at $90 for a single player or $120 for a family (with children up to the age of 21). With the exciting new tennis programming, the resort is offering three new, overnight vacation packages. The “Classic Tennis Package” includes unlimited court time, complimentary racquets and balls, a 60-minute tennis lesson and complimentary access to Willow Stream Spa. The “Ultimate Tennis Package” has all of the same inclusions as the “Classic,” plus an additional lesson with John Austin. The “Family Tennis Package” includes a family tennis clinic, an autographed John Austin Wimbledon photo, racquets and balls for four and logoed t-shirts for the whole family. These packages are available through December 2011 and prices vary depending on package, number of guests per room and season. John and his sister Tracy Austin were the first brother-sister team to win the Wimbledon championship title in 1980 in Mixed Doubles. Born into a family of five siblings, tennis is in the Austin DNA, as four of them competed at Wimbledon. Austin climbed the international rankings to a Top 40 world ranking in six years competing on the ATP Tour. Among his wins were victories over # 1-ranked John McEnroe, former French Open champion Yannick Noah, Andres Gomes, Wojtek Fibak, and twins Tim and Tom Gullikson. He was also selected three times as an alternate/practice partner for the U.S. Davis Cup team. 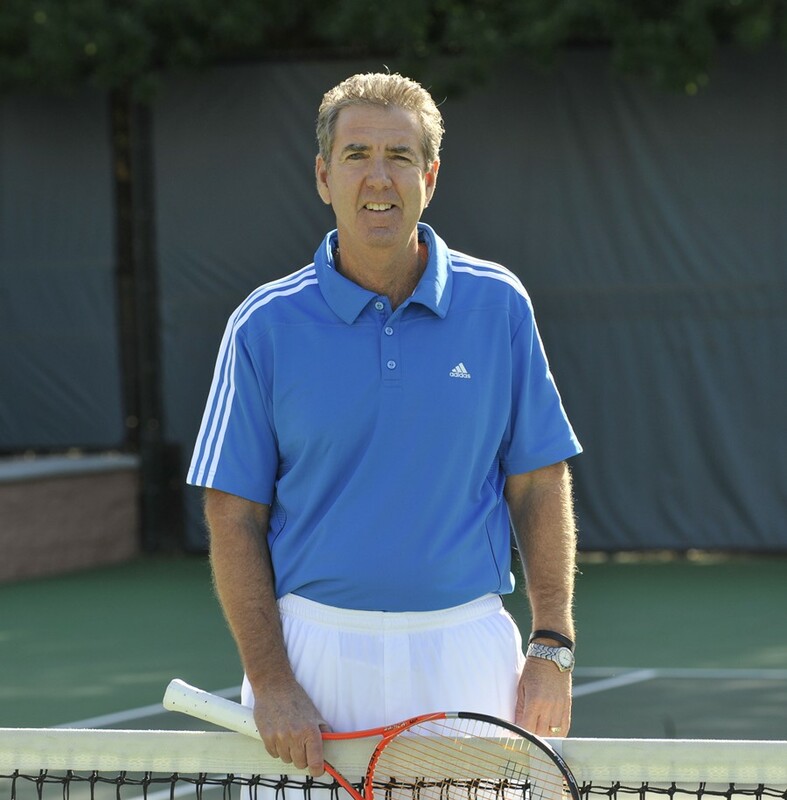 Prior to entering the professional ranks, Austin was a member of the victorious 1976 UCLA NCAA championship team and a 1978 NCAA doubles champion. He reached the NCAA doubles final in 1977. Upon retiring from the professional tour, Austin has been a teaching pro, working with players such as Pete Sampras, Michael Chang, Jim Grabb, Chuck Adams and Alexandra Stevenson. Austin has held Director of Tennis positions at several prestigious clubs and facilities, including the La Quinta Resort and Club in La Quinta, Calif.; PGA West where the club was awarded the USTA Southern California’s Facility of the Year in 1996, and Desert Highlands in Scottsdale, Ariz. Austin most recently served as Manager of Operations for the city of Surprise, Ariz., a 25-court municipal tennis facility with a clubhouse court which accommodates up to 5,000 spectators. Each year, the USTA awards one Crystal Ball in each of its 13 sections across the nation. In October 2010, the Southwest Section chose Austin to receive the honor, in recognition of his exceptional service and dedication to the organization and the sport. The Fairmont Scottsdale Princess, a regular pro tennis tour stop for 16 years of its 20-year history, has long been recognized as one of the Southwest’s premier resort tennis facilities. The facility features seven, hard Plexi-Pave courts, six with built-in lighting for night play. The Stadium Court can provide seating for 6,300 spectators. The resort has hosted many of the game’s top names competing in the ATP tour event, which began as the Franklin Templeton Men’s Tennis Classic, from 1987 to 2005. In addition, the facility hosted a W.T.A. Women’s tournament, the State Farm Women’s Classic from 2000 to 2003. With Austin joining the Fairmont Scottsdale Princess, the resort will look at opportunities and developing partnerships for future events. Located near Willow Stream Spa, the tennis complex also offers a full-service pro shop with the finest in clothing, shoes, and accessories. Professional instruction, tennis clinics and memberships are available year-round. Set against the backdrop of Arizona’s McDowell Mountains, the AAA Five-Diamond Fairmont Scottsdale Princess reflects its Southwestern setting with Spanish colonial-style architecture, expansive plazas and lush, flower-filled gardens. The resort features 649 oversized guest rooms, including 69 new Fairmont Gold rooms and suites, five heated swimming pools, the luxurious 44,000 square-foot Willow Stream – The Spa at Fairmont, the new John Austin Center for Tennis and championship golf at the adjacent TPC of Scottsdale. Dining options include BOURBON STEAK, a AAA Four-Diamond steakhouse by the acclaimed Michael Mina; modern Mexican cuisine at La Hacienda by Richard Sandoval; LV Bistro, serving favorites for the whole family and seafood at The Grill, with stunning views overlooking the 18th green at the TPC of Scottsdale Stadium Course. Stone Rose, a contemporary bar and lounge presented by nightlife entrepreneurs Rande Gerber and Scott Gerber, is the spot for cocktails in Princess Plaza. The resort is located at 7575 East Princess Drive in Scottsdale. For reservations, please dial (480) 585-4848, toll-free at (866) 540-4495 or visit www.scottsdaleprincess.com. You can also join us online at www.facebook.com/fairmontscottsdale and www.twitter.com/fairmontscotsdl. Located in world-class destinations around the globe, Fairmont Hotels & Resorts is a celebrated collection of hotels that includes landmark locations like London’s The Savoy, New York’s The Plaza, and Shanghai’s Fairmont Peace Hotel. With more than 60 hotels, Fairmont is known as much for its warm, engaging service and culturally rich experiences, as its classic hotels that imbue a sense of heritage, sophistication and social importance and are often considered destinations in their own right. A community and environmental leader, Fairmont is also regarded for its responsible tourism practices and award-winning Green Partnership program. Fairmont is owned by FRHI Holdings Limited, a leading global hotel company with over 100 hotels under the Fairmont, Raffles, and Swissôtel brands. The company also manages Fairmont and Raffles branded estates and luxury private residence club properties. For more information or reservations, please call 1-800-441-1414 or visit www.fairmont.com.